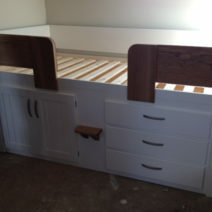 These white beds have a classic look which should fit into any bedroom. 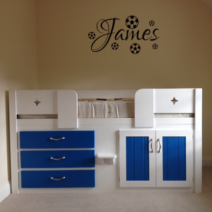 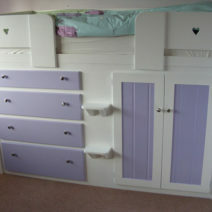 Or if you’re after something with a bit more personality colour can be added to the doors and drawers. 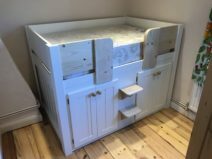 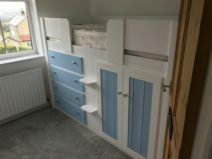 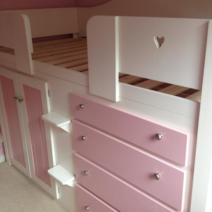 Below are the white cabin beds we’ve made for previous customers, each of our beds are bespoke and our bed designer can be used to create the specs for your own bed. 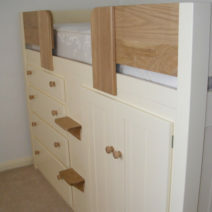 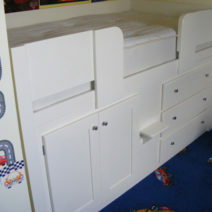 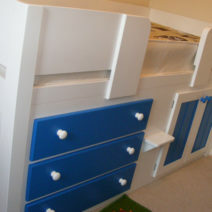 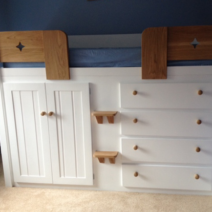 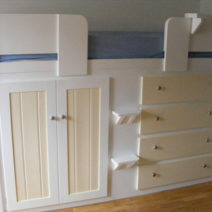 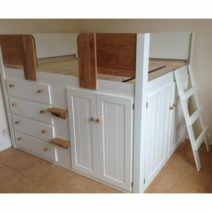 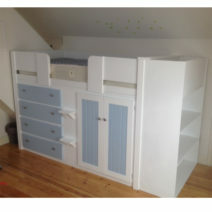 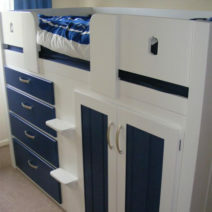 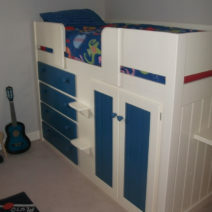 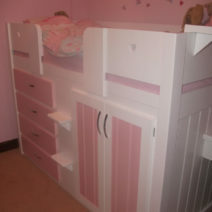 Aspenn specialises in top quality kids cabin beds. 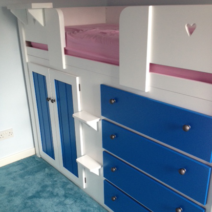 Our childrens cabin beds are guaranteed for 20 years – check out our full range! 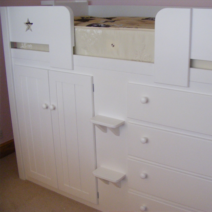 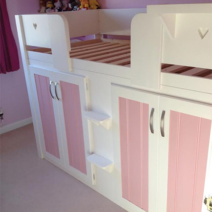 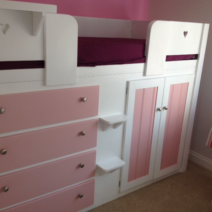 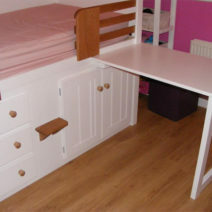 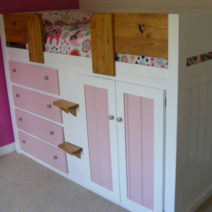 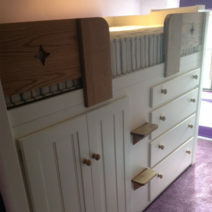 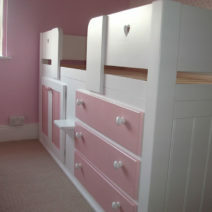 White & Princess Pink 4 Drawer Cabin Bed with Heart Plinth £795 + £10 cutout back rail.